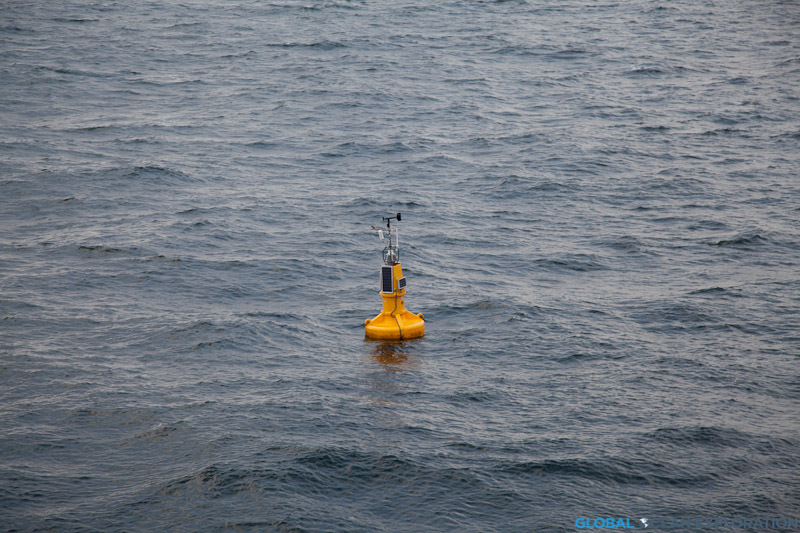 In the Chukchi Sea now, we reached our first stopping point of the cruise where we picked up a buoy that had been deployed over the summer. 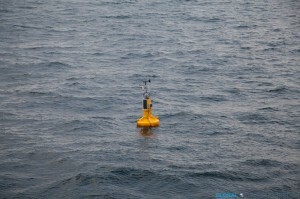 The buoy had to be recovered before the winter. 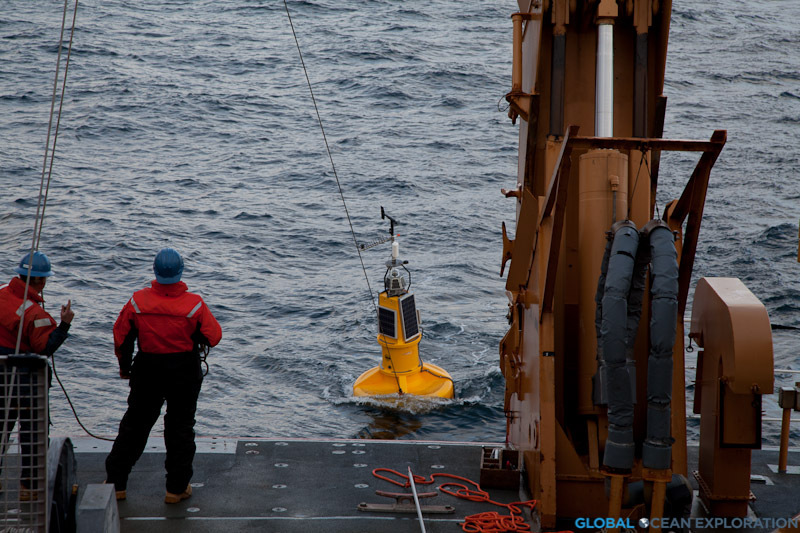 It always amazes me when seemingly out of nowhere we come upon a high-tech instrument just anchored to the seafloor collecting important data. 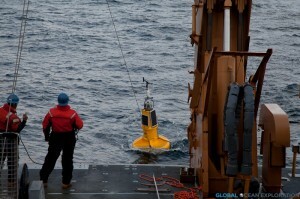 Along with the water sampling being conducted on this cruise, moorings and buoys will be recovered and turned around. Also at this point, we did a test CTD (conductivity, temperature, depth recorder) cast to make sure that all of the instruments were working and the bottles to collect water fired properly. 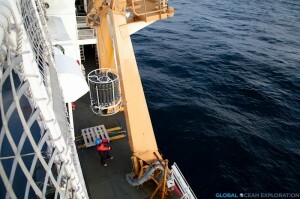 The CTD and accompanying water-collecting rosette are the heart and soul of this expedition so this test cast was very important to make sure everything was in order. We are arriving at our first sampling line this evening and will sample throughout the night along a given transect line that was sampled last year. I will be writing a lot more about this in upcoming posts! So after a long transit, we are getting the science started! Very exciting!! !